Though 3D-capable cameras are nothing new, two new additions to Sony's 2010 Cyber-shot line are notable for their 3D-shooting capabilities: They're the first everyday point-and-shoot cameras that offer 3D imaging capabilities, and they create 3D photos with a single lens. The Exmor R CMOS-sensor-based Sony Cyber-shot DSC-WX5 and Cyber-shot DSC-TX9 look a lot like last year's DSC-WX1 and DSC-TX1 Cyber-shots, but they improve on those cameras' already impressive bag of tricks by adding a 3D panorama mode and other new in-camera settings. 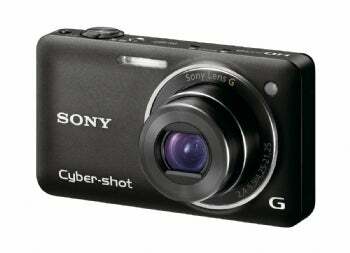 A third new Sony point-and-shoot camera, the CCD-sensor-based Cyber-shot DSC-T99, lacks the 3D panorama feature. To create 3D images, cameras traditionally use a dual-lens system, with the two lenses spaced about as far apart as a pair of human eyeballs. After shooting, two slightly offset images are overlaid, and a visible 3D effect is achieved by using one of many presentation options (among them, red/blue anaglyph filters, different methods of polarization, or viewing the images with the naked eye on a specially treated screen). The WX5 and TX9 work around the dual-lens system with a creative rejiggering of Sony's Sweep Panorama mode. Using the cameras' 3D Sweep Panorama setting, you press the shutter button once, pan across a scene, and the camera stitches together a panoramic image that can be viewed in 3D. In the 3D Sweep Panorama mode, the camera calculates what a dual-lens system would capture at different points in the scene and create a similarly offset image. When the image is viewed through special glasses on a compatible HDTV set, the resulting image shows a 3D effect; true to Sony's proprietary-technology-happy reputation, the only way to obtain the proper 3D effect is by viewing the images on a 3D-capable Sony Bravia HDTV while wearing the company's Active Shutter 3D glasses. That's a big investment just to properly view 3D images shot with these cameras, but the effects are impressive. At a recent demo, sample 3D panorama images viewed through Sony's Active Shutter glasses on a Sony Bravia HDTV showed stunning depth-of-field effects, and foreground elements truly looked as if they were popping out of the screen. Three-dimensional imaging capabilities have also found their way into two Sony cameras released earlier this year. A free firmware update for Sony's interchangeable-lens Alpha NEX-3 and Alpha NEX-5 cameras enables both models to shoot 3D panoramic images using the same sweep technique. According to Sony, the Alpha NEX firmware update also enhances the cameras' normal Sweep Panorama modes, speeds up start-up times, and improves battery life. The 12-megapixel Cyber-shot DSC-WX5 offers a 5X optical zoom lens (24mm to 120mm in 35mm film equivalent), and it offers a few interesting modes beyond its 3D-shooting capabilities and Intelligent Sweep Panorama mode. Two brand-new modes are in the mix. Sony is touting the new camera's Superior Auto mode, which acts similarly to the company's Handheld Twilight mode. In Superior Auto mode, the camera overlays multiple images taken in rapid succession at different exposure settings to create a noise-free photo with greater dynamic range. Another new mode is called Sweep Multi Angle, which creates a multiple-angle image by panning the camera across a scene. After shooting is complete, you can change the viewing perspective of the photo during playback by tilting the camera from side to side. Despite lacking manual controls, the WX5 offers more-granular image controls than a typical point-and-shoot, thanks to a stable of excellent shooting modes. For example, Background Defocus mode lets you create shallow depth-of-field effects without manual aperture settings, and the included Handheld Twilight and Backlight Correction HDR modes are designed for tricky lighting situations. The DSC-WX5 also captures 1080i/60fps AVCHD video at 17 mbps. The WX5 is slated for September release at $300. The slim, touchscreen-operated Cyber-shot DSC-TX9 offers a 4X optical-zoom lens (25mm to 100mm), a 12-megapixel CMOS sensor, a 3.5-inch-diagonal touchscreen, and the ability to capture 1080i AVCHD video. Like the WX5, it offers Superior Auto, 3D Sweep Panorama, Background Defocus, Sweep Multi Angle, Intelligent Sweep Panorama, Handheld Twilight, and Backlight Correction HDR modes. The TX9 is also dueto appear in September, at a price of $400. 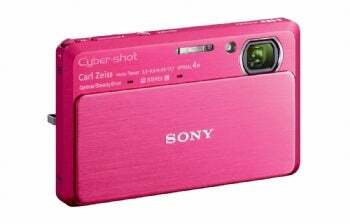 At the lower end of the features spectrum is the similar-style Sony Cyber-shot DSC-T99, which offers a 14-megapixel CCD sensor and a 4X optical zoom lens (25mm to 100mm). It doesn't possess the feature-heavy firepower of the WX5 or the TX9, but the T99 does offer a Sweep Panorama mode and 720p high-definition video recording as MPEG-4 files. The T99 will be available in September for $250. 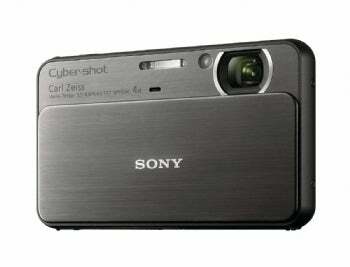 This story, "Sony Adds 3D Shooting to New Cyber-shot Cameras" was originally published by PCWorld. The sleek, stylish, touchscreen-controlled TX9 offers very good overall performance and fun-to-use modes, but images tend to look soft. For casual snapshooters, the Cyber-shot DSC-WX5 offers a unique blend of good image quality, innovative in-camera modes, and even a few 3D-shooting tricks.